Metaphysical Properties for Rainbow Moonstone. Rainbow Moonstone helps strengthen intuition and psychic perception. Rainbow Moonstone enhances creativity, compassion, endurance and inner confidence. The little bottle is made of delicate glass and a removable cork lid. 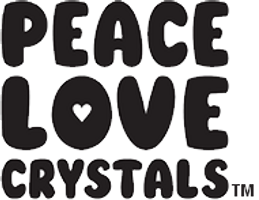 PEACE LOVE CRYSTALS Little Bottle is approximately W 2.6 cm x H 6 cm. All orders receive a free copy of our "Crystals and Minerals Metaphysical Properties Guide" by PEACE LOVE CRYSTALS*. Image shown is an example of what you will receive. Please take note of the size described as images are close-ups so you can see the quality we offer.